In the past two decades, golf development in the U.S. has enjoyed a surge in the number of locations promising a “pure golf” experience. While there have always been places that put golf first and foremost (Pinehurst being the prime example), it feels like the pursuit of building and playing top-notch golf courses has really come into its own lately. For so many years, a golf course was seen as the cherry on top of a high-end private country club, complete with swimming pools, tennis facilities, some squash courts, maybe a croquet situation… you get the picture. Now, a great golf course stands as the star of its own show. For proof of this phenomenon, look no further than Bandon Dunes, Mike Keiser’s dream golf destination on the southwestern Oregon coast. After opening with one course designed by a nearly unknown Scottish architect, Bandon has blossomed into a golfer’s playground boasting four championship tracks, a 13-hole short course, a massive putting course, and a variety of food and lodging options. And lest you think Bandon is an anomaly, the rise of golf-centric spots like Streamsong, Whistling Straits, Forest Dunes, and Sand Valley (among many others) points to the popularity of this style of development. It’s a very Field of Dreams approach. If you build it—no matter if it is in central Florida or the back woods of Oregon—they will come. Cabot Links par 3 14th. And a destination Cabot has certainly become. We visited the resort in early June of 2016, the weekend before the official grand opening of the Cliffs course, and played four rounds over two days. After arriving on Friday night, we hit the Links for two loops on Saturday and followed it up with two more at the Cliffs on Sunday. And yes, it was just as great as you’d imagine. Iron shots soaring over bluffs, putts rattling home to the sound of ocean waves, and most importantly, tee sheets packed with golfers eager to grab their slice of golfing nirvana and then spread the gospel. The putting green at Cabot Links. There’s no question that the golf at Cabot is world-class. But the resort’s best-kept secret may be just that—the resort itself. From the staff to the amenities to the way the club is run, it’s clear that Cabot cares just as much about your golfing adventure as you do. 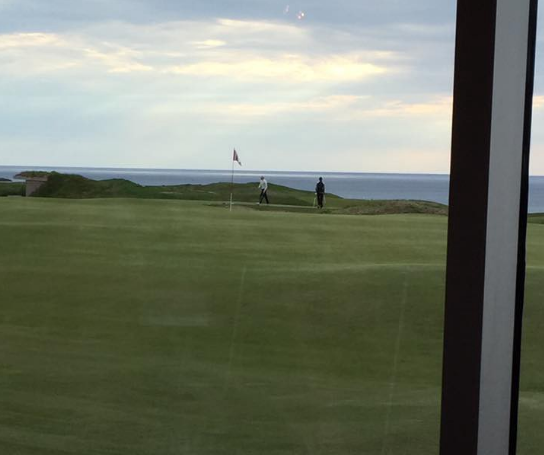 Cabot Links is staffed with the exact types of folks you’d want to work at a remote golf destination. People who are teeming with passion for the game, understand that this is a once-in-a-lifetime trip for most folks, and will go above and beyond to enhance the experience. I think the best way to describe this is with an anecdote. But first, some background. It was 5:30 PM, we had been driving since 9 AM, we all needed naps, and we looked, smelled, and felt like homeless people. From the beginning to the end of our stay, the staff really were wonderful. I made our reservations via email, and the customer service folks couldn’t have been nicer, despite our group having to cancel our originally planned 2015 trip and re-book an entire new adventure. The greeters were lovely as mentioned, and though we didn’t avail ourselves of the highly touted caddies, the starters at both Links and Cliffs gave us invaluable advice on our rounds. And the starter at the Links got to hang out in this cool hobbit hole. I won’t sit here and say that Cabot has the kinds of accoutrements common at some high-end private clubs. 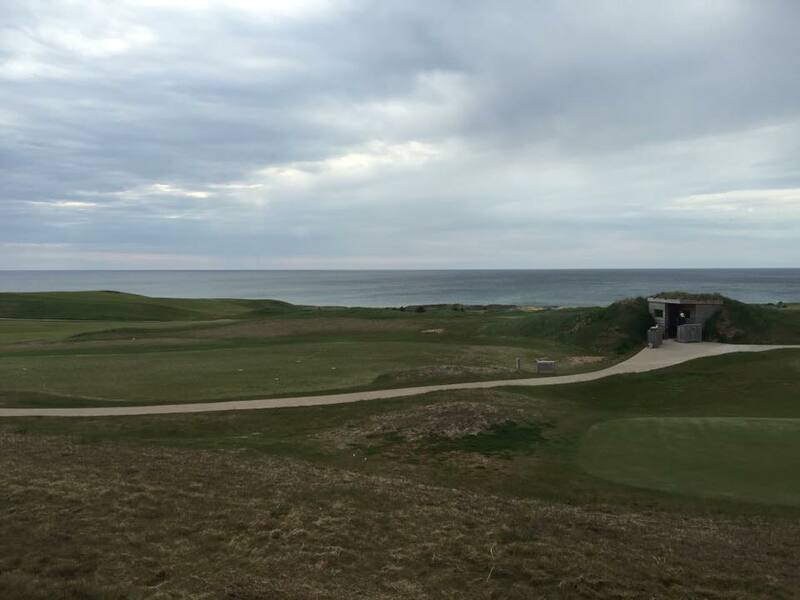 There are no saunas, no fitness centers, not even a driving range (though I believe there are plans for a range at the Cabot Cliffs site). Cabot knows its role. There are three dining options on site, including the second-floor Panorama Restaurant, which sports a commanding view over the 18th green and down some of the central holes towards the Gulf of St. Lawrence. The Cabot Bar occupies the first floor of this building, with floor-to-ceiling windows that act as sort of a reverse aquarium, allowing patrons to enjoy a burger and a pint while judging the relative merits of the incoming groups’ short games. These restaurants are housed in the building on the left here. And the view from the bar is pretty perfect. he back of the restaurant can be seen here, with our heroes making their way from the property’s third food option, the Cabot Public House. Here’s the Public House, from roughly the same spot just turned 180 degrees. The food is local, hearty, and completely satisfying after a 36-hole day. Lest you momentarily forget your purpose on this grand excursion while on your way back to your room, the doors will remind you. The rooms were cozy, and (somewhat) comfortably fit four 20-somethings with minimal issues. My one gripe would be that, after a day and a half of driving followed by 36 holes of golf, a hot bath might have done wonders for the body, and our room only had a standup shower. Although it did run the width of our bathroom, so you could definitely lay down in there if necessary. Also, with views like this from the panoramic bedroom windows, I’m not complaining. Tron Carter, one of our friends over at No Laying Up, is fond of the term “vibe.” It’s one of those indefinable qualities—if you have to ask, you don’t get it. By now, the vibe at Cabot should be pretty apparent. This video starts looking back up the 18th, pans across to look down the fairway of the 10th, then covers both practice greens before heading down the first fairway. And it really captures the vibe of Cabot as much as anything I could write. The place is all about playing golf. There’s no hand-holding, and no catering to a VIP sect that demands manicured perfection. You show up, check in, peg your ball, and get on with it. Just as importantly, the staff members at Cabot show no pretensions and boast no inflated egos. It’s not a place that will go out of its way to remind you of its stature in the modern game. And with good reason—the golf will do all the talking. 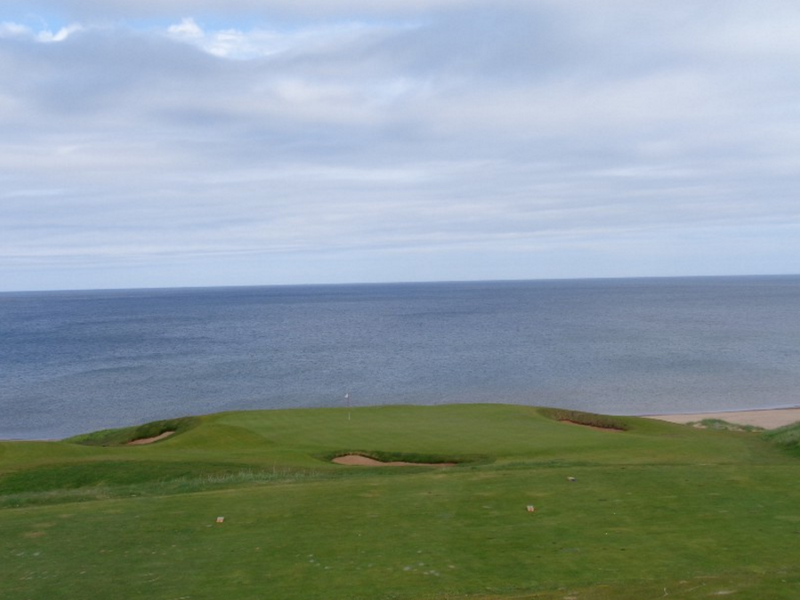 Read Robbie's detailed course review of Cabot Links! Love golf courses and architecture? Sign up for our newsletter and never miss a post!